Welcome to part one of our October 2018 Inspirational Interview with Merrindahl Andrew, program manager of the Australian Women Against Violence Alliance. She has worked as a researcher, editor, policy advocate and women’s rights activist. Dr. Andrew has completed a PhD in politics and has published articles and book chapters on social movements and feminism. She is also a writer of short fiction and poetry, and the creator of Hearts In Causes, a social art project about the untidy and confusing parts of life as an activist or campaigner. Part 2 of Dr. Andrew’s interview will be published on Monday October 1 2018. All pictures courtesy of Australian Women Against Violence Alliance. 1. How and why did you join the movement to end violence against women, and how did you come to be part of the Australian Women Against Violence Alliance (AWAVA) team? Before I joined the AWAVA team, I was a researcher tracking the establishment and survival of women’s services, including refuges/shelters and sexual assault services. (You can see this work here.) I was fascinated by how feminists had created and sustained this service sector, but I also shared their frustration about the fact that it was still so under-resourced and at times sidelined. I also gradually became more and more aware of how violence and misogyny affects women in complex ways related to all the complex situations and identities. So, when the opportunity arose to apply for the job of program manager at AWAVA, I saw this as a great chance to contribute my skills and energy to the movement to end violence against women. 2. 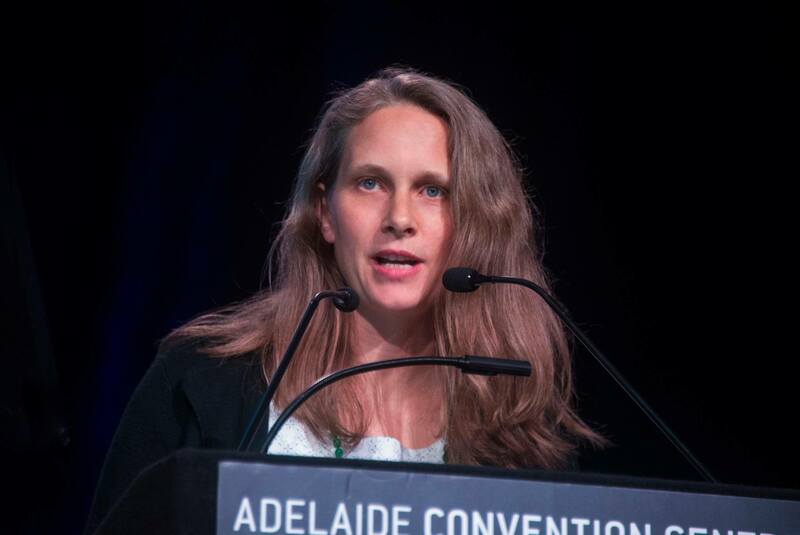 “The Australian Women Against Violence Alliance (AWAVA) is one of the six National Women’s Alliances funded by the Australian Government to bring together women’s organisations and individuals across Australia to share information, identify issues and their solutions, to respond to and prevent violence against women (VAW) and their children.” How did AVAWA come to be founded? The National Women’s Alliances are an unusual model in which the national government funds six alliances of women’s organisations. As well as AWAVA with our focus on VAW, there are alliances working on economic security and advancing gender equality, and alliances representing Aboriginal and Torres Strait Islander women, migrant and refugee women, and women in rural and regional Australia. Although we have some government funding, all the alliances benefit greatly from volunteer labour and in-kind support from our member organisations. The alliances have always resisted being made into a single peak or umbrella body because we believe there is strength in diversity and a better connection with grassroots organisations if there are a number of different alliances, rather than just one. AWAVA was founded in 2010 by the Women’s Services Network (WESNET), which continues to be AWAVA’s contract holder with government, together with the National Association of Services Against Sexual Violence (NASASV), and several other peak bodies and associations. 3. Could you give us an overview of AWAVA’s approach to stopping VAW and the services you provide for victims, survivors and communities? AWAVA is not a service provider. Our contribution to stopping VAW is in policy advocacy: bringing the voices of women and women’s organisations together and amplifying them to influence policy-making on VAW issues. We also provide opportunities for people across the country who are working to end VAW to share information with each other about positive steps as well as the challenges they’re facing in their geographic area and/or specific focus area (e.g. sexual violence, violence against women and non-binary people at universities, violence against Aboriginal and Torres Strait Islander women). Often this work is very challenging, and it is important to break down isolation and for people to be able to feel mutual support and solidarity. We have an advisory group including peak (umbrella) bodies representing service providers and other groups as well as a broader friends and supporters group. 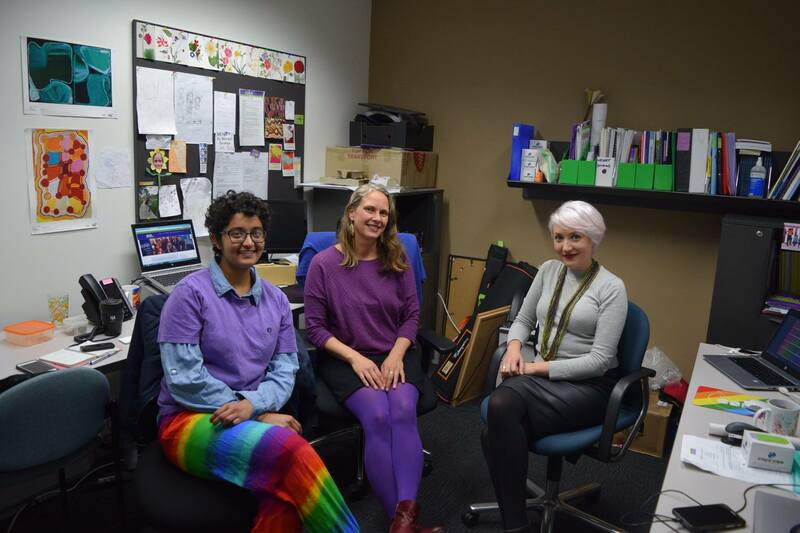 We have a staff of three people: Tina Dixson (policy officer), Sumithri Venketasubramanian (administration and communications assistant) and me as program manager. 4. Part of AWAVA’s mission is to “ensure that women’s voices and particularly marginalised women’s voices are heard” by the Australian government, including Aboriginal and Torres Strait Islander women, women from rural communities, and women with disabilities. Could you tell us about AWAVA’s efforts and programmes to help marginalised women? We aim to incorporate the issues faced by marginalised women in all our policy advocacy. So, for example, when we recently made a submission to a major review of the Family Law system in Australia, we did so jointly with our sister alliances, the National Aboriginal and Torres Strait Islander Women’s Alliance and Harmony Alliance – Migrant and Refugee Women for Change. This enabled us to create a strong joint voice addressing the specific barriers and challenges of family law for Aboriginal and Torres Strait Islander women and women from culturally and linguistically diverse backgrounds. When we advocate on any particular issue, e.g. sexual violence, we try to take an intersectional approach that gives profile to the experiences of different people, rather than assuming that everyone is affected in similar ways. 5. What are some of the particular challenges that Australia faces when tackling violence against women, and how have Australian women’s rights organisations like AWAVA addressed these challenges over the past few decades? As in most countries, one of the biggest challenges is the reluctance to acknowledge the extent of VAW in all its different forms, and to address gender inequality as a fundamental driver. Many people abhor this violence but we need more people to actively challenge the misogyny, racism, homophobia, ableism and economic exploitation that drive it. It is great that more organisations are now working on primary prevention, gender equality, peer-led change, and bystander programs to equip and support people to shift those underlying problems. Another major challenge is government cuts to welfare and spending on social services over several decades: this makes it much harder for women to build lives free of violence, and reinforces the barriers facing women who are particularly marginalised. Organisations like AWAVA seek to form alliances across the community sector to build momentum towards a more humane and constructive policy approach.